I think self righteousness is the root of all evil, not money. 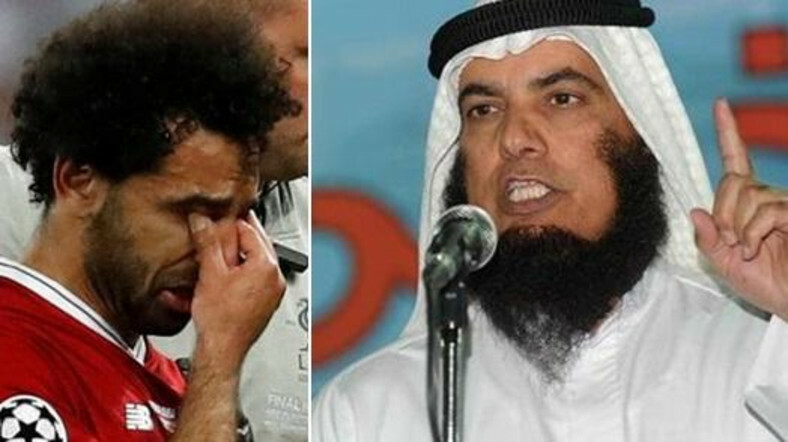 A Kuwait Islamic preacher, Mubarak al-Bathali has slammed Egyptian Liverpool player, Mohamed Salah, who got injured during the 2017/2018 UEFA Champions League final against Spanish giants, Real Madrid. Salah got himself injured during a tussle for the ball with Sergio Ramos leading to him sustaining a shoulder injury which ended his game in Kyiv. Reacting to the incident, Mubarak al-Bathali claims Mohamed Salah suffered the blow due to him breaking his fast. Muslim’s are allowed to break their fast for travel purposes, but the Kuwaiti preacher believes the highly rated player didn’t break his fast because of the journey from England to Ukraine but because of the match itself. He further claimed that ‘God punished him’ for eating before the match during Ramadan. “Do not grieve, the door of repentance is open”. The preacher also advised the player to consider his injury as a lesson and a reminder that everything happens by God’s will. “Preachers who said it is acceptable for him to break his fast have also permitted other things”, he said. He also added that the star who is highly sorted by Real Madrid is considered an ambassador for Muslims who has changed the image of Muslims in the West. He also praised him for his other habits such as walking away when his teammates drink alcohol. What do you think about this cleric submission?